Not Valid on Eve of PH, PH & 21 to 31 Dec 2018. 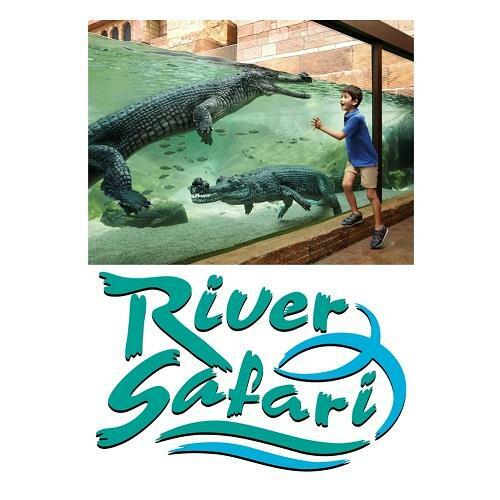 River Safari admission tickets exclude Amazon River Quest which are payable seperately based on prevailing tram ride rates. * Each admission ticket shall be valid for one visit only before the stated expiry date and no extension of validity will be granted. * Our electronic records shall prevail in the event of dispute. * Admission subject to our full terms and conditions found on www.wrs.com.sg and displayed at park entrance. * WRS is not responsible for any damage or injury sustained or lost property while in the park. 1) Redemption of item is subjected to availability. 2) TC Connections reserves the right to replace this item with another. 3) Merchandise can only be redeemed via Self Collection at our office. 4) There will be no exchange of goods once it has left the premises. As such, members are advised to inspect all goods upon collection. 5) All redemptions are final, not returnable and non-refundable once redeemed. Duo points will not be reinstated. 6) Voucher may not be used in conjunction with other promotions or discounts. 7) Each voucher must be utilised within three months from date of redemption. 8) Please present voucher before making purchase. COPYRIGHT © 2014, TAN CHONG INTERNATIONAL LIMITED. ALL RIGHTS RESERVED.